Breathing is my favorite strategy for anxiety and stress relief. It’s quick, easy, free, and you can do it anywhere. 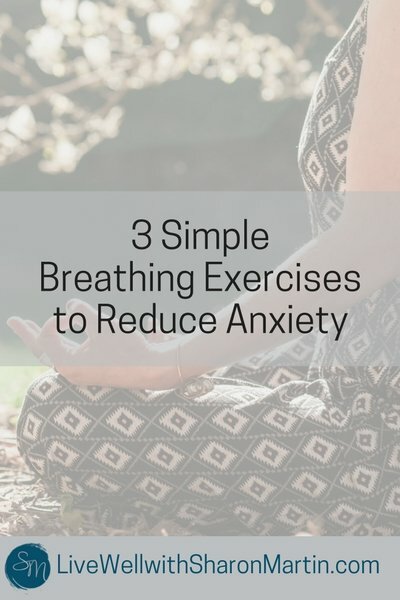 I’m going to teach you three very simple breathing exercises to reduce anxiety, but you don’t actually need any particular technique to relieve stress. You can simply slow down, breath deeply and fully. The additional oxygen can help lower blood pressure and heart rate. In my opinion, there’s really no wrong way to utilize breathing to reduce anxiety and stress. In its simplest form you can take slow, deep breaths in the grocery store line or between test questions. Try closing your eyes. This helps you focus and eliminate distractions. Count your breaths. This will help you slow down and refocus away from your stressors. Breath in so long that it starts to feel uncomfortable. Repeat as you breath out. Visualize a safe, calm, pleasant place. Focus on how it looks, smells, feels. Sit or stand up as tall as possible. Pull the crown of your head toward the ceiling/sky. Experiment with being inside or outside and discover if one is generally more calming. I like to inhale through my nose for a count of 4 and then exhale through my mouth for a count of 4. Repeat for 3-5 minutes. This can take some concentration at first, but you’ll quickly get the hang of it. Place your hand over your diaphragm (abdomen) and align your breathing with it. As you inhale, watch your diaphragm rise. As you exhale, watch your diaphragm fall. As you breath deeply, progressively tense and release each of your muscles. Start with your toes, then your feet, calves, etc. Gradually move up the body tensing and releasing. This adds a physical element that is great for reducing stress and bringing awareness to where you’re holding stress in your body. I like to do this lying down, but it can also be done sitting. 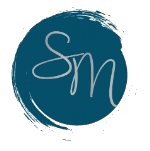 If you’d like to learn more strategies to reduce stress, contact me to schedule a coaching session to target stress management strategies.